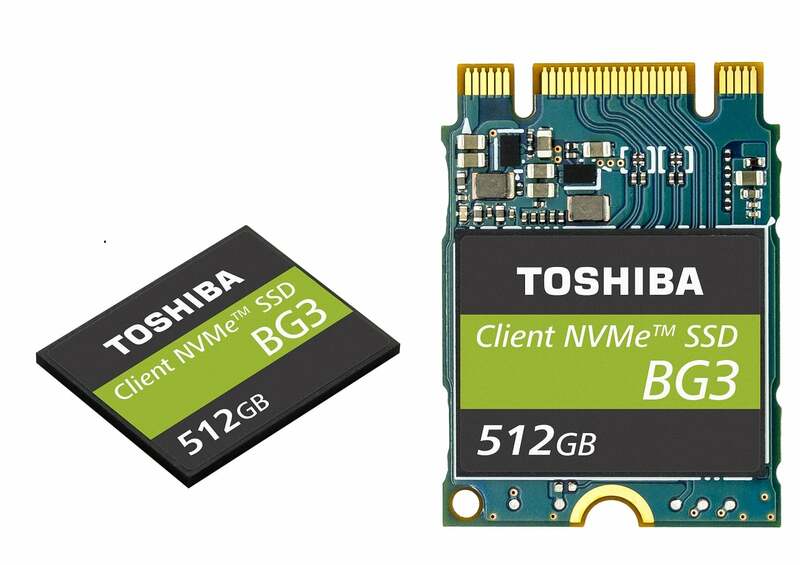 Utilizing two PCIe 3.0 lanes and Toshiba’s in-house controller, the BG3 can achieve sequential read/write speeds of up to 1,520MB/840MB/s respectively. The BG3 also has an SLC caching feature which can boost performance when the drive isn’t filled. The tiny SSD also boasts tremendous power savings. Since there’s no power requried to power DRAM, the BG3 has a maximum power consumption of just 2.7W. That’s almost half of the 5.5W to 6.5W maximum for most of today’s SSDs. The BG3 will be available in two form-factors: surface-mount BGA M.2 1620 and removable M.2 2230. Capacities include 128GB, 256GB, and 512 GB. The BG3 is currently being sampled to customers and will make its debut at the Flash Memory Summit on August 8th.